An award-winning antivirus with fast and powerful detection of viruses, worms, Trojans, rootkits and other malware. 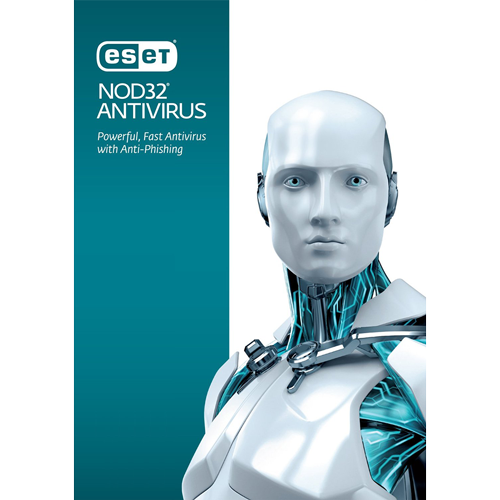 ESET NOD32 Antivirus features an all-new Anti-Phishing module that identifies and protects you from fake websites trying to acquire your personal information. Your identity can't be more personal - or more important. Powerful firewall, removable media and anti-phishing security features protect you against criminals trying to steal your personal information through online scams, hacking or by physically plugging a USB thumb drive into your computer and taking files. The time-tested NOD32 technology in ESET Smart Security and ESET NOD32 Antivirus lets you enjoy your technologies to the fullest. These solutions eliminate all types of threats, including viruses, rootkits, worms, and spyware. Cloud-powered scanning delivers a higher level of protection, speeding up scans and ensuring that your computer runs at its best. All removable media such as USB sticks, CDs and DVDs are scanned upon insertion for offline malware. ESET NOD32 Antivirus edition runs on any system with Microsoft Windows 8.1, 8, 7, Vista, XP, and Microsoft Windows Home Server 2003, 2011. Product requires an Internet connection. Copyright © 2013-2019 Buy Software Fast. All Rights Reserved.